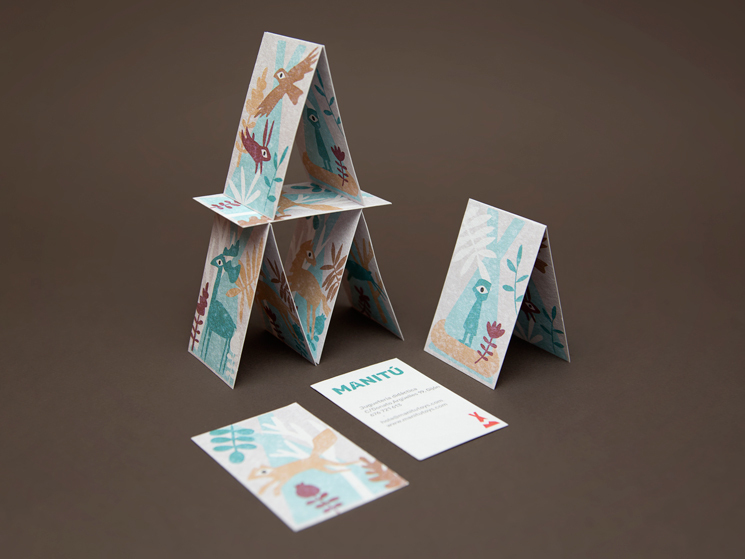 Dmentes Estudio Creativo designed these business cards for Manitú, a didactic toy store located in Gijón, Spain. “One of the fundamental values of Manitú is the quality of their product – the handcrafted toys. Wood is the essential material in the elaboration of this,” said Eva Canal Pesquera, the Creative Director of Dmentes Estudio Creativo. The brand name ‘Manitú’, which means ‘Great Spirit’, was originated from the Algonquian Native American tribes in northern Canada. “It was believed that Manitú was inside every animal, plant and object. Another belief was that a powerful Manitou created the humans with wood.  All these, together with the values of familiarity, craftsmanship, warmth and play, are the keys to the conceptualization of the brand,” Eva said. 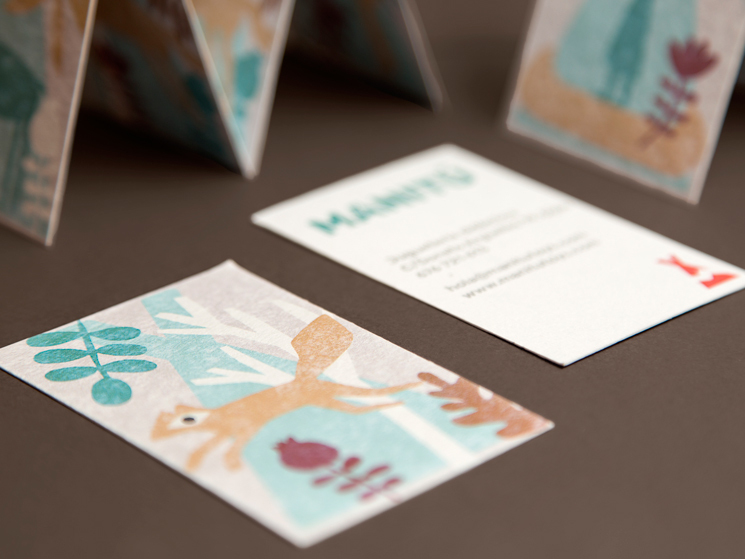 Although it’s common to use illustrations on a brand’s visual identity, but for Manitú, the illustrations are actually based on the simple shapes of the Natives cave paintings that have a similar aspect as the children’s drawings – they are unique, catchy and intriguing! 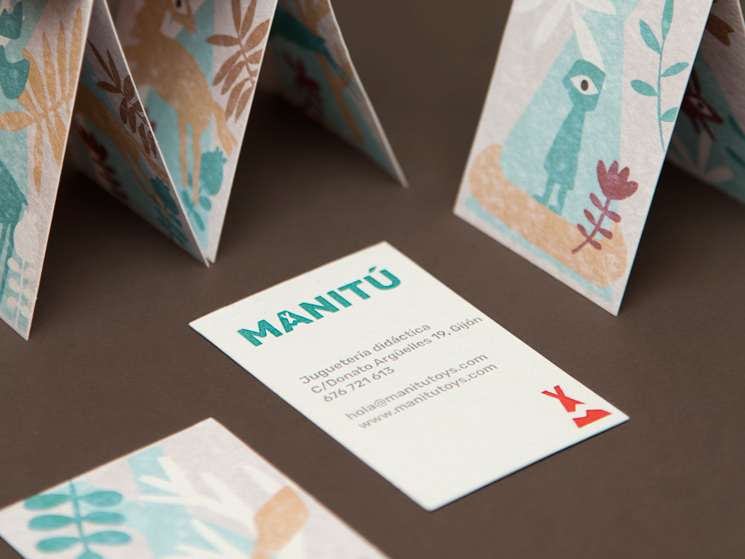 These business cards were printed on recycled papers with granulated texture by Reprografía La Luna. It helps to deliver the brand’s artisan concept and gives a special effect to the unique illustrations as well.